XPO Logistics expects to complete its next acquisition by the end of this year, chief executive Bradley Jacobs told The Loadstar yesterday. The fast-growing US 3PL reported record annual results yesterday, which saw total group revenues come in at $15.3bn, up 4.7% from $14.6bn, while consolidated operating income rose 27.6% to $623m – meaning that its 4% underlying operating margin rose 70 basis points from 3.3% in 2016. Net income rose to $340m from $69m in 2016 and adjusted net income was $248.5m, compared with $121.5m one year earlier. On the back of these results, its free cash flow (FCF) has seen marked increases, Mr Jacobs said, growing 77% last year from $211m in 2016, and this year is projected to grow 57% to $624m. “In 2017 and 2018 we have a FCF of $1bn – we want to be generating large amounts of free cash flow because it gives us ammunition. “It was always the plan that we would return to the M&A field this year; it was a deliberate that we would close something by the end of 2018 as a base-case scenario. “We approach M&A by casting a wide net and whittling that down to one of two highly valuable targets,” he added. Given how the valuations of logistic operators has swung wildly in recent times with the emergence of tech-based start-ups loaded with cash raised from Silicon Valley investment funds, The Loadstar asked Mr Jacobs how he weighed the value of the new breed of logistics firms against more traditional businesses. “They are both valuable in their own way,” he said, “we want a network of assets, but we also want cutting-edge technology. “But we also view ourselves as the disruptor and not the disrupted. We are investing hundreds of millions of dollars in advanced technology, such as automation and robotics, big data, visibility and customer service, and a digital freight marketplace,” he said. 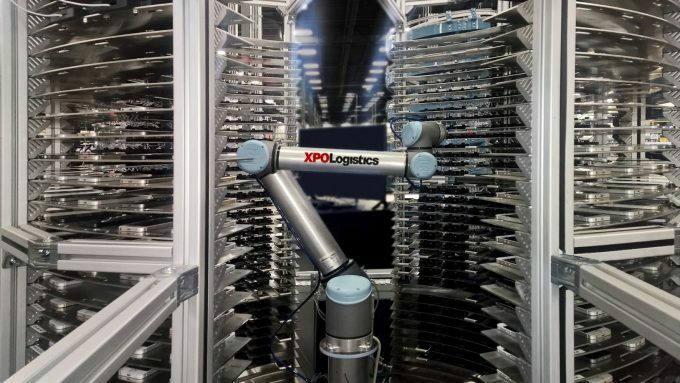 XPO expects to invest some $450m in technology this year – a sizeable number, although it is a capex budget just 3% of revenue. For the fourth quarter, its core transport activities turned over $2.67bn against $2.33bn one year earlier, a growth of 14.5%, which was led by “increases in North American freight brokerage and last-mile, European brokerage and UK dedicated truckload”. 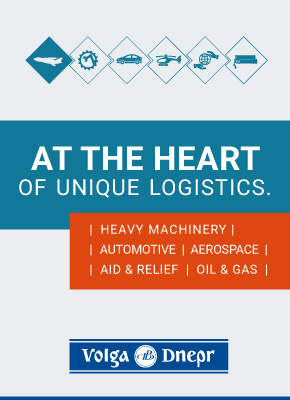 Its logistics unit grew at a similar speed, generating $1.57bn in revenue, up 13.7%, on the back of strong demand for contract logistics both in Europe and North America, “partially offset by a decline in managed transportation revenue in North America”. Contract logistics growth was led by a strong peak season for e-commerce, particularly in the UK and Spain, while in North America the largest gains came from the e-commerce and industrial sectors. “E-commerce will stay strong for the foreseeable future,” Mr Jacobs said. “We did 20% more business than last year and the retail/e-commerce vertical now represents 29% of our gross revenue; it’s now our largest vertical. “I don’t see that growth slowing down,” he added. Market Insight Exclusive: Toll Group's global restructuring – optimising, shrinking or preparing for a sale?